The Art Doctors are myself and Liz Stirling and our aim is to help break down barriers to participation in contemporary art whilst gently questioning the idea that art is good for you. 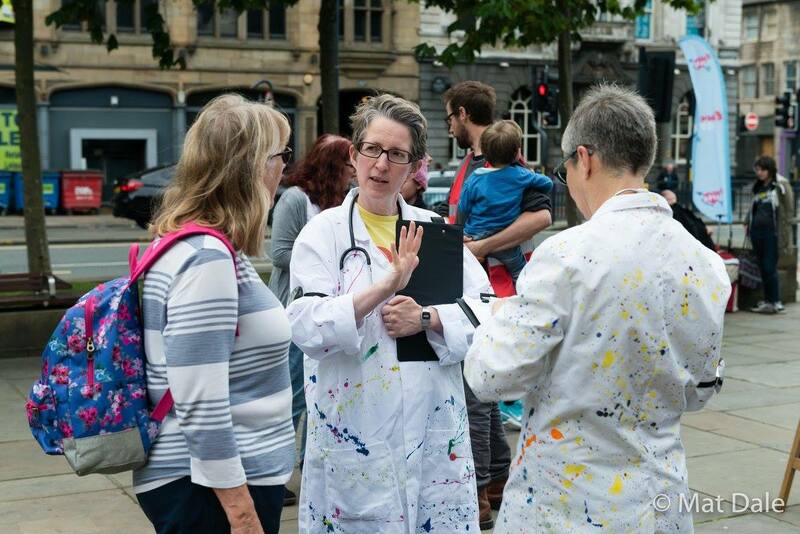 Through playful informal consultations, dressed in paint-splattered lab-coats with stethoscopes and prescription pads, we ask members of the public how they are feeling, what they might need or desire creatively and prescribe anything from art and exhibition visits to starting their own making activities, just noticing things in life more or finding new creative opportunities with others. 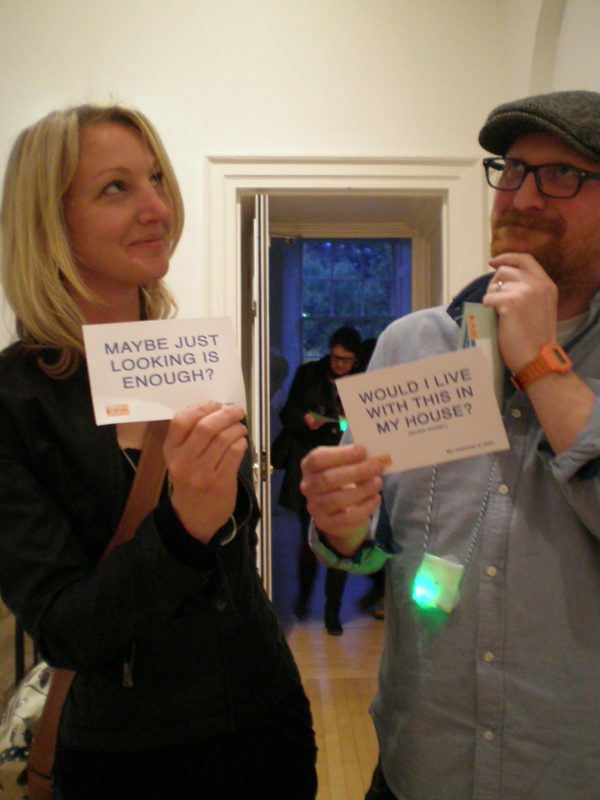 Originally started as a commission for the British Art Show 8 visiting Leeds, Edinburgh and Norwich, the Art Doctors talked to specific groups and a diverse general public about art, life and culture. We listened to people’s ideas, interests and experiences and prescribed specific art in the show that might particularly interest or challenge them or offered an accompanying prompt card and maybe even cushion or blanket in case everything got a bit much or they needed a lie down. 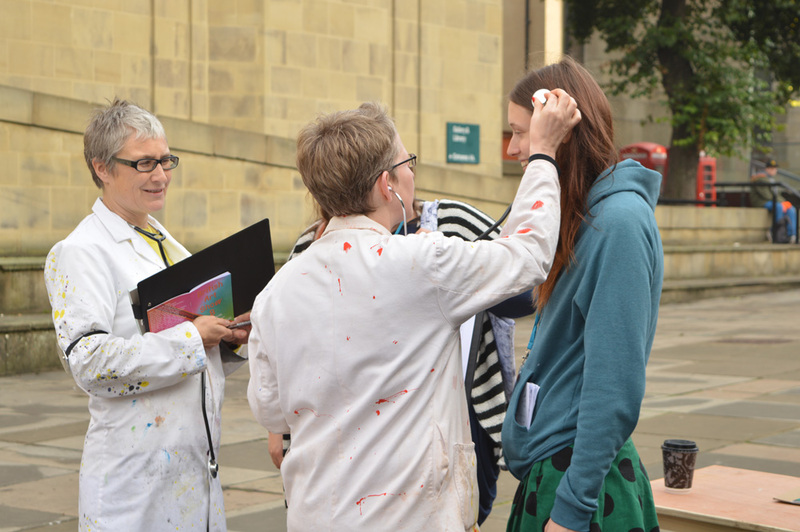 The Art Doctors are now broadening this very successful model to develop new participatory performances that explore the experience of listening and talking about creativity’s important role in our everyday lives.